Wordpress is the most popular Website Builder and Content Management System (CMS) platforms on the internet. The internet literally consists of 28% websites made using the Wordpress platform and it’s growing every year. Wordpress is mostly used for blogging and general website building where heavy programming is not necessary. A vast variety of features, such as a contact forms, content filters and security enhancements are available as plugins that can be easily installed. Business around the world have chosen Wordpress for its incredibly easy to use interface and front-end reversibility. It’s a completely free service but to make things easier they offer hosting and domain services at very reasonable prices. 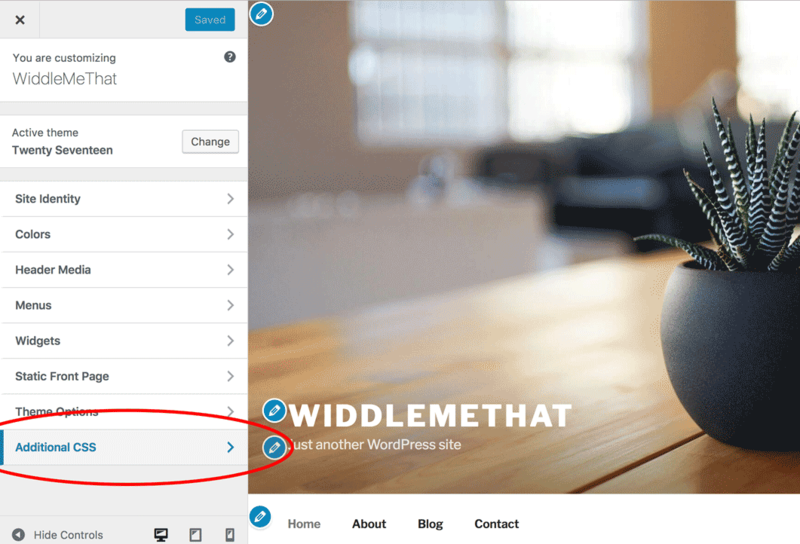 Wordpress can be used in hundreds of different ways, so there are almost infinite ways to improve the marketing of content on a Wordpress site. So to get you started here are 5 quick and easy ideas to get you started. Method: Boost your email opt-in rates by creating a popup that slides in on the bottom right of the browser when a visitor scrolls past 90% of the webpage. Reasoning: The motion of the subscription popup sliding in on the screen, captures the visitor's eyes, bringing an important call-to-action to their attention. Method: Remind your visitors to follow you on social media when the visitor is about to leave after being on the website for over a minute. Reasoning: If someone has dedicated a period of time to your website it’s likely because they were enjoying the content available there. Remind the user that they can get more content like this by following your social media accounts. Method: Create a Special Offer call to action button so you can easily manage various promotions you want to offer your users. Reasoning: Hitting a button with a potentially promotion or inspiration, is like open a gift-wrapped present. It engages the user, instills a sense of curiosity and rewards them with discovery. Method: Offer a shipping discount when the visitor is showing signs of leaving (Exit Intent). Reasoning: Make you website work just like a real life salesman, if a customer is showing signs of leaving, give them an offer that’s harder to refuse. Method: Add a subscription paywall to block visitors from viewing your premium content. Reasoning: Paywall's are a great new way to monetize on your premium high quality content. If you're looking to create a new revenue stream this can be a highly effective method used by some of the biggest companies in the content delivery industry. There are so many possibilities but we will limit it to just these for this blog so you have some things to play with. In future blog posts we plan to cover each method in much more detail and link to them from here. 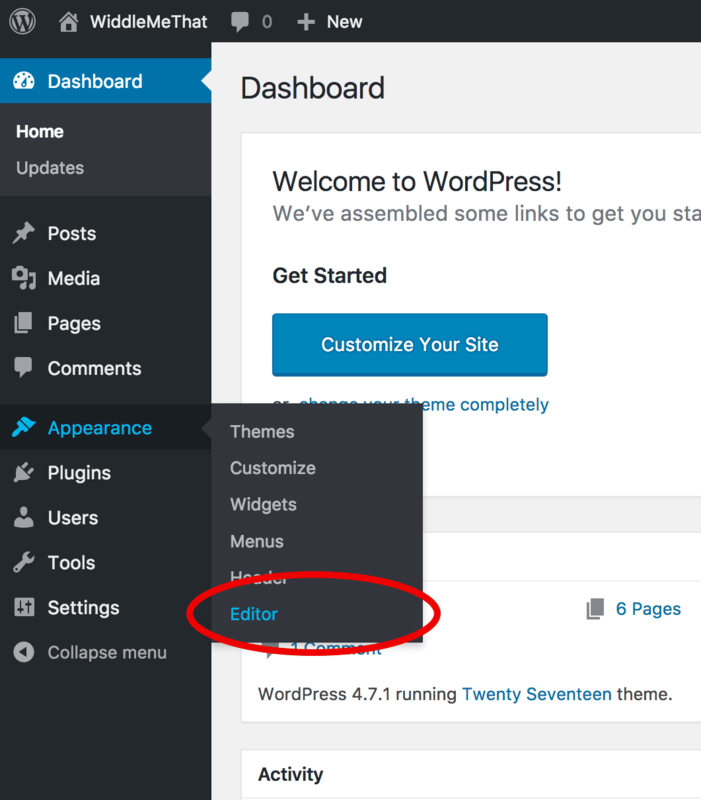 You can edit your Wordpress background code by logging in then going to Appearance / Editor. 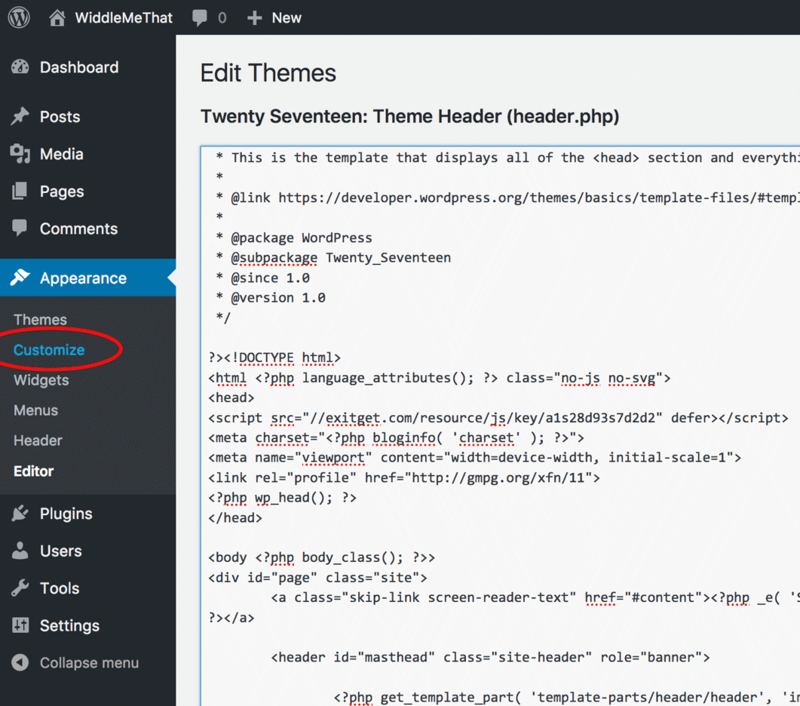 This loads your theme editor and on the right side under Templates you will find all the scripts that run the your Wordpress page. 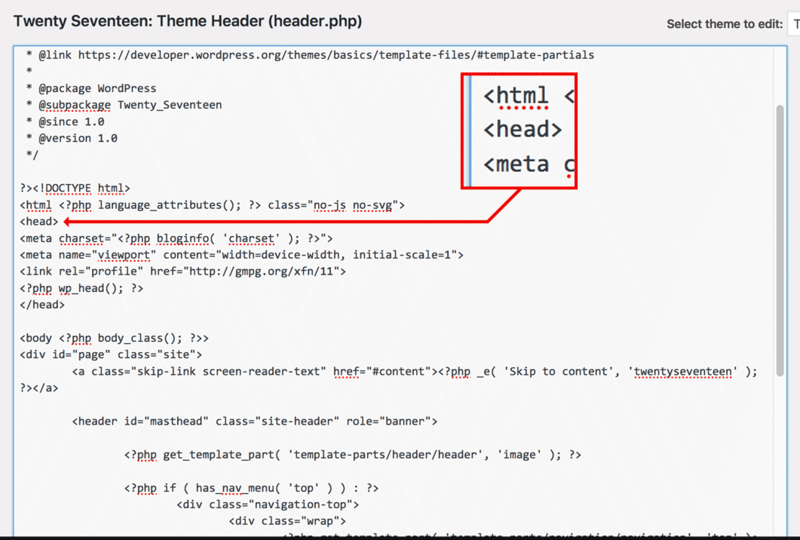 Click the Theme Header (header.php) file to access your Wordpress tags. You will know for sure you are in the right document when you see the tag near the top. 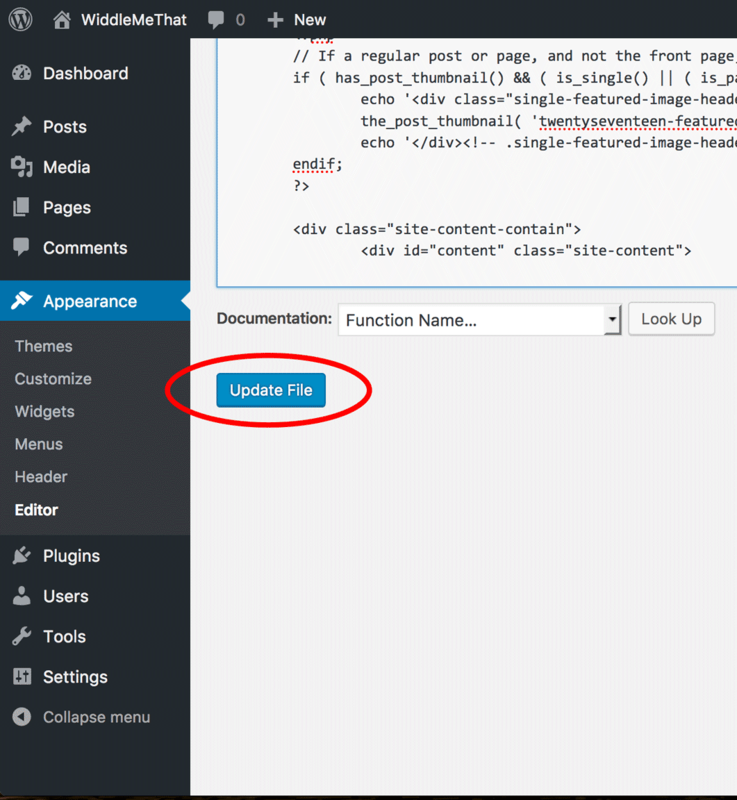 After the head tag, create a new line and paste your Exitget script tag displayed in the websites installation section of the dashboard after logging into Exitget. 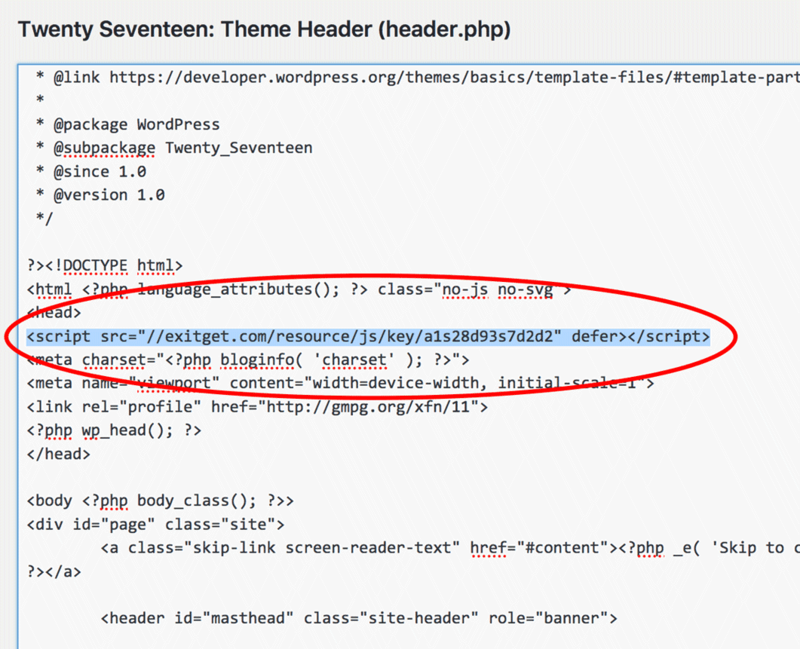 Important: The script shown in the example image will not work on your website because each Exitget user has a unique installation script. Login to your Exitget dashboard to find the Website Installation section to find yours. Now that this line is inserted we can press the Update File button bellow. 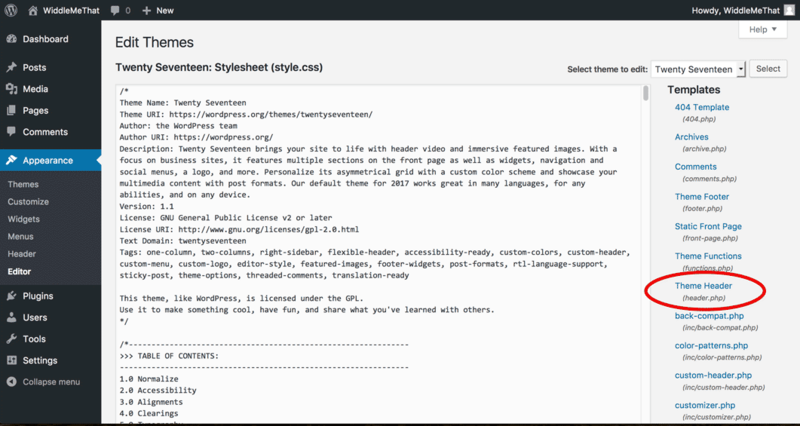 Wordpress will respond with "File edited successfully.". Next we will make sure that Wordpress publishes the changes you just made. We can do this by click Customize button also inside the Appearance menu. 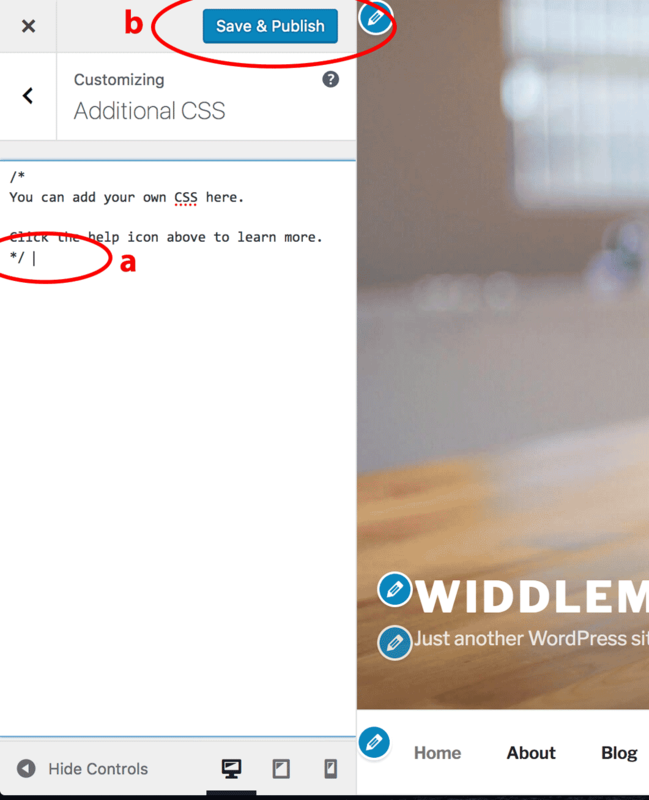 Click the Additional CSS menu item. Simply add a space anywhere and backspace to remove it (shown in circle: a). This will make the button "Save & Publish" appear (shown in circle: b). Once you click that your changes will be published and you are ready to use the button below to test your installation. That's it, too easy! Remember: Do not copy the code from the image above. It is displayed there as an example and will not work with your account. Register your free account at Exitget to get an installation code which will work with your own account.